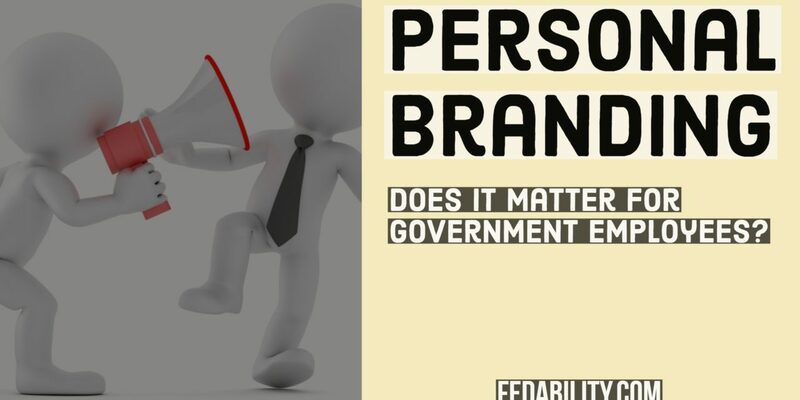 Personal branding: Does it matter for government employees? I posed this question to Google: Does personal branding matter in the government? If we were to believe what the top 5 hits, the answer is no. While the search returns a couple recent (but mostly older than 2012) hits, it’s really about branding of an agency. But, I think Google’s got it wrong on this one. I think personal branding does matter in the government. Now to be fair, Google’s search results are based on what people write and on the reputation of the site the person writes it on. What I take away from this search result is that very few people have been talking about the importance of personal branding for government employees. But, that’s not entirely true either. In fact, when I did a search of ‘personal brand’ on GovLoop.com I see that actually quite a bit has been written on the topic. So why didn’t these articles pop up in my search? Well, that’s partially the mystery of Google algorithms. But, I’d hazard a guess that Google just doesn’t pick those articles as unique to government. And, the truth is if you read through the first few they aren’t really unique to the government experience. In fact, personal branding articles are a dime a dozen. 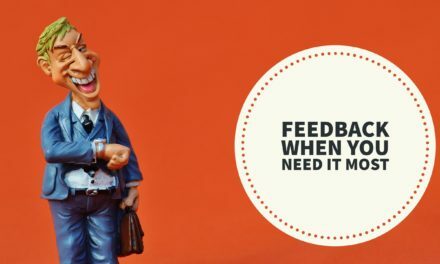 Though, two of the better ones on GovLoop (with nearly the same title) each offered 7 tips for building a personal brand was by Sabrina DeLay and Sam Ashe-Edmunds. My goal here, is to convince you personal branding is important to your government career. And, once you buy-in that maybe I’ve got a good point – then you can go back and read those tips by Sabrina and Sam. In short, your personal brand is your reputation. Or, one article I read defined a personal brand as what people say about you when you aren’t in the room. I’ve also heard it called your personal Yelp review. Personal branding, is proactively shaping your reputation. I’ve said in a prior post, and still believe, you can’t leave your reputation to chance. But let’s be real here. Personal branding has gotten a bad reputation itself (irony?). The negative reputation comes in part due to the idea that it’s manipulative. Dishonest. And, it’s no surprise that personal branding got a bad reputation. Largely, it’s based on a concept coined by sociologist, Erving Goffing, in the 1950’s call self presentation. Or, the more modern term is impression management. Goffin’s self presentation theory was compared to those in theater who can and do take one certain roles and personas at will. Impression management, similarly, is consciously or unconsciously influencing other’s perception by controlling or limiting information given during a social interaction. Phew. That’s a lot of psychology in that last paragraph. Ok, so here’s my point though. Personal branding for government employees (or anyone really) doesn’t have to be manipulative or dishonest. It’s about being you. Authentically you. But it’s also about being consistent in your actions and attitudes. And it’s about becoming laser focused on what contribution you want to make on the world, our country, or your workplace. It’s about understanding why you do what you do every day. Because when you know what contribution you want to make and why you want to make it – personal branding becomes an authentic endeavor. If you went to graduate school, you’ll likely know there were some professors who were the stars of the department. They are people that have made a name for themselves in some way. And, they’re the ones that another university would poach in a heartbeat if they could afford them. Because having those star professors on staff lends the university prestige, name recognition, and the ability to attract and select the best candidates for their programs. So imagine if you were someone that other government agencies wanted to poach. Not just that they’d hire you if you were to apply. But that another agency would actually actively try to attract you to come work for them. I’ve personally had this happen twice in my career. First, a classmate in a leadership program went back to his agency and said, I’ve met someone you need to meet. And so, I was invited to come visit their agency and their learning/training function. It felt like I was on a tour with the aim to convince me that I should come work there. And, sure enough, when a position became available I applied. Second, I received a call out of the blue from someone I’d only worked with tangentially. He said, I have a need for someone who can do what you do. I also have special direct hiring authority to make you an offer if you’d be willing to come. And, so I was invited for coffee to discuss what the position entailed. And, he spent that time convincing me that I should come work for them. Ultimately, I chose not to take the position but it was beyond flattering to know my personal brand led him to see me as uniquely suited for the position. So why does personal branding matter? It matters because it can open opportunities up to you. It gives you the opportunity to be selective about where you work and what you do. Wouldn’t it be nice if you had multiple job offers and you had to stress out about which one to take? Or, wouldn’t it be nice if someone from another department was willing to make a place for you on a project because you have a unique skill or background that no one else can bring? If that isn’t happening for you – then you need to work on your personal branding. Now you might be thinking – but I don’t want to leave my current job. That’s ok. But, wouldn’t it be nice if people saw you as a credible expert and came to you for advice? Or, that when you gave advice it was accepted because you’re seen as an expert in that area? Wouldn’t it be nice if other departments asked if you could come work for them on a detail temporarily to help on a special project? Because if you want that, and it isn’t happening, then you need to work on your personal branding. First, I must warn you that while personal branding is about being authentic, it is not effortless. Because sometimes, life isn’t on brand. Well, for example, I aim for this blog to be a positive outlet on how to be successful in managing your government career. But sometimes, things happen that make me feel not so positive about working for the government. And it’s hard sometimes to go beyond how I feel temporarily to keep sharing with you the positives of working for the government. And, that you can manage your government career in a direction that makes you feel satisfied. So it comes down to me making sure not to publicly post when I feel that way. It’s not that I’m being inauthentic, it’s that I’m being careful to keep this blog on point. Second, you need to be willing to do some self-reflection. There’s lots of ways to do this. For one, you can read the post about not leaving your reputation to chance that offers some self-reflection questions. You could ask a trusted mentor or colleague to tell what you are known for. Or, you could hire a career coach like myself to objectively help you examine how you are presenting yourself. Another thing you could do is Google yourself. Just type in your name and see what pops up first. Because whatever comes up is what your public reputation is. And, I assure you when you’re going for a job interview – someone will Google you. 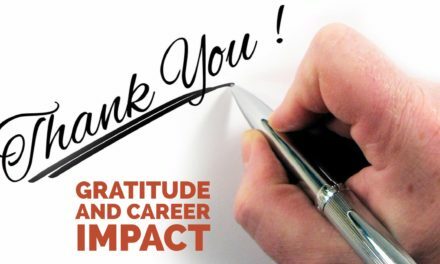 I’ve even had a student in my class – while physically in the classroom – read my LinkedIn profile to decide whether I was a credible instructor. Third, you will have to put in the work to make changes. I know, I know, I said personal branding was about being authentic. So why might you have to make changes if you’re just being you? Well, because you may need to do more of something to demonstrate your expertise – to increase your credibility. To make a greater more obvious contribution. Meanwhile, you may have to stop doing some things that aren’t ‘on brand’ to make time to do something that are ‘on brand’. It may mean less mindless tv-watching. It might mean less chatting with people at work. So do I believe personal branding is important for government employees. Absolutely! I’m hoping that you believe it too. 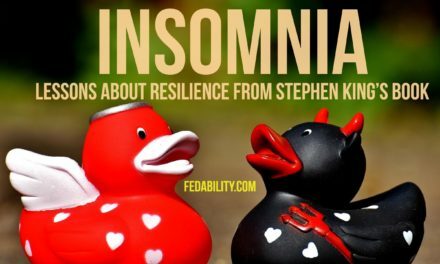 And if you want help – please feel free to email me to set up some time at DrDana@fedability.com! My mission is to help people think about things differently. With equal footing between research and actual government experience - I offer actionable career advice that works in the government environment. I received my doctorate in Industrial Organizational Psychology in 2009 from the University of Central Florida. 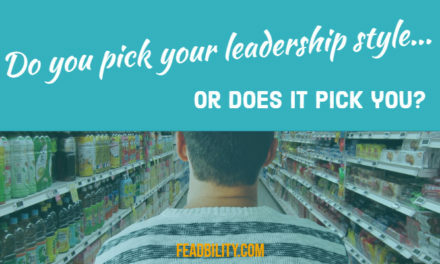 Do you pick your leadership style, or does it pick you? Oh Dr. Dana….is this a test? Are you checking to see if we are reading the entire article, or if our curiousity about learning is piqued? So, do you buy that personal branding is important for government employees?